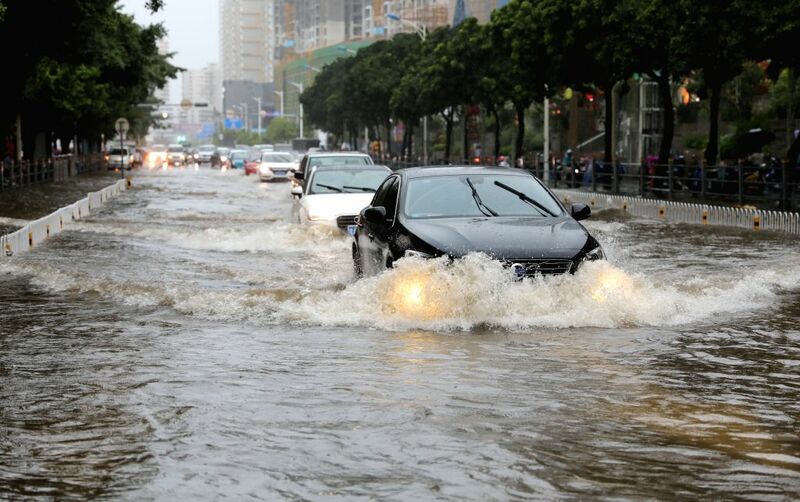 HAIKOU, Aug. 10, 2018 - Cars run through the floodwater in Haikou, south China's Hainan Province, Aug. 10, 2018. 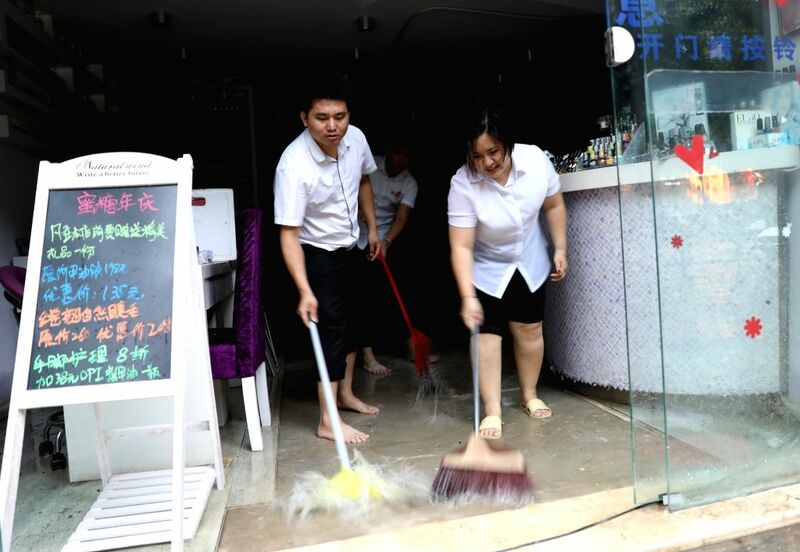 Hainan was hit by heavy rainfalls under the influence of a tropical depression on Friday, which triggered a red alert for rainstorms in seven cities and counties, including Haikou. 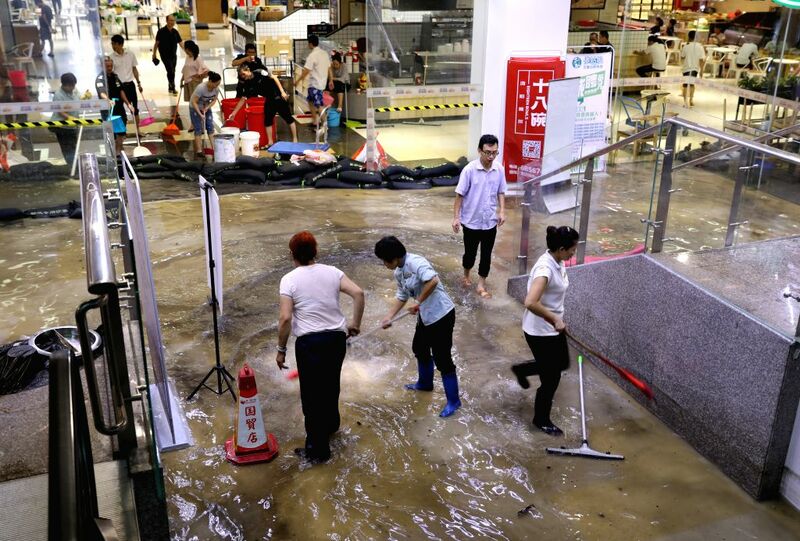 Staff of a shop drain the floodwater in Haikou, south China's Hainan Province, Aug. 10, 2018.